I rarely leave the house without mascara. I don't know what it is but I just feel totally naked without it. My routine in the morning involves, putting on my make-up (everything but mascara), blow drying my hair, getting dressed, and then, last step, mascara. There have been a few occasions when I've forgotten and felt completely naked. So weird. That being said, you know I've tried 1 million different kinds to finally settle on a few favorites. I tried many of the drugstore versions and was a lover of the Maybelline one in the yellow and purple tube for a long time. Then my mom bought me my first DiorShow mascara and my world was rocked. Here are a few varieties that I'm currently addicted to for various reasons. I'm on my 4th or 5th tube of this stuff. I was first introduced to it by a few Trish loving friends a few years ago. The unique thing about it is that the formula coats your lashes in little tube so when you wash it off, you gently press on your lashes to pull the tubes off. Best part about this? No raccoon eyes! Amazing! The formula really lengthens your lashes and for someone that doesn't use (or know how to use) a lash curler, it gives your eyes the perfect amount of pop. It's expensive, yes, but worth it. You know it's good when I keep buying it over and over again. I was skeptical about this all natural mascara initially. I love the W3ll People line but I didn't think I was ready to break up with my trusty Trish mascara. When I visited the Birchbox store, the girl helping me had these amazing long, gorgeous lashes. So I asked. She said she was wearing the new W3ll People mascara. Done. Sold. Bought a tube on the spot and really do love it. The goes on really smooth and I love the brush. Only downside, it does smudge easily so I just try to keep my hands away from my eyes when I'm wearing it. I use this one the least of the three but I like having it on hand. It packs a big punch and it's build-able which is great for going form day to night. The formula is actually supposed to "re-wet" itself when you reapply later in the day so that it doesn't clump. 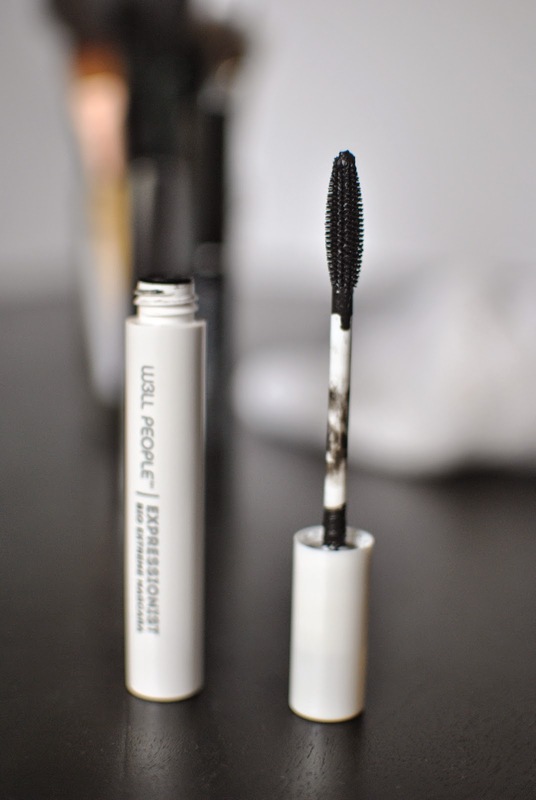 I also really like Bobbi Brown's Everything mascara. It's really silky and creates a natural look. I use both every now and then. Also, a few mascara tips! Don't "pump" your wand in the tube. That just pushes air into the tube and causes it to dry out really fast. Instead, twist the wand around the tube to get more product if you're running low. When applying, place the wand at the base of your lashes and wiggle it slightly as you pull the wand toward the tips. You can also very slowly close your eyes as you brush the wand to really sure you get the tips. That's what creates a big impact. Know when it's time to toss the tube. Mascara only lasts 3-5 months depending on how frequently you use each tube (3 if it's every day). Also, since it's a product that's near your eyes, it's not good to let it sit around for awhile and then use it after six months. Think gross eye infections. So toss those old tubes and pick up a few of my faves!